:BM/MYM/RT: Catch Your Sponge Bob Here! This is one of my kids' favorite game in Tom's World arcade the UFO catcher where you'll have a chance to grab pretty and cute stuff toys like teddy bear, hello kitty, barney, sponge bob and many other stuffs. It was hard to do this but Ruth managed to catch one pretty stuff toy in one of our visit there. It's so precious to her because she only tried twice and she got it. Btw she's so fond of stuff toys and she added her catch to her collection. 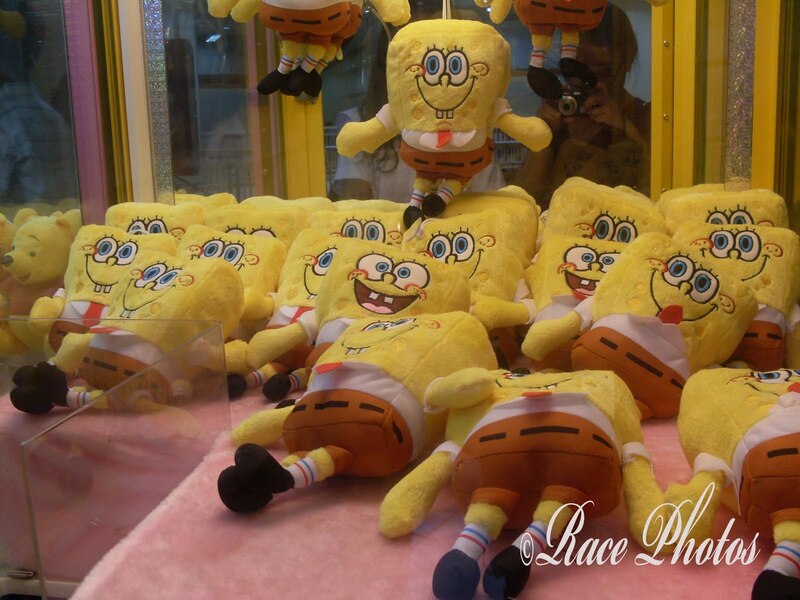 I had a chance to take some snapshots of the different stuffs there including these super cute yellow sponge bob. His tongue, eyes and socks has red and blue colors on it so I included this post on all three memes.